It was a bitterly disappointing end to what promised to be an excellent week for Ireland following a memorable 8-7 win over Scotland on Thursday morning and a resounding victory over Wales later that day. Padraig Hogan’s charges needed only a tie with defending champions England to win the Triple Crown and the Raymond Trophy for the first time since 2008. 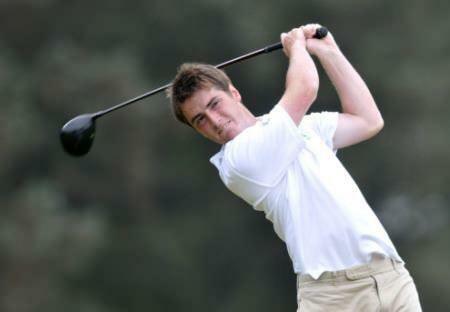 Despite resting Waterford Castle’s Kevin Phelan for the moring foursomes, Ireland took a 3-2 into the 10 singles. But the men in green were steam-rolled 7.5 - 2.5 by England as the top of the order was decisively crushed. The Scots went relentlessly about their own business, powering to a 9.5 – 5.5 win over Wales. And it turned out to be enough to give them title for the first time since 2006 thanks to their greater tally points won - 27 to Ireland’s 25 over the three days. “It’s a great feeling to win and doing it in Scotland makes it even more special. Although the foursomes matches were tight this morning, we were confident that we could reach our target of nine and a half points in the singles and I asked the guys to get off to a fast start. “Credit to every one of them, they did just that and getting so much blue on the board early was infectious. We wanted to focus on our own game and not worry about the England versus Ireland match and again they responded. 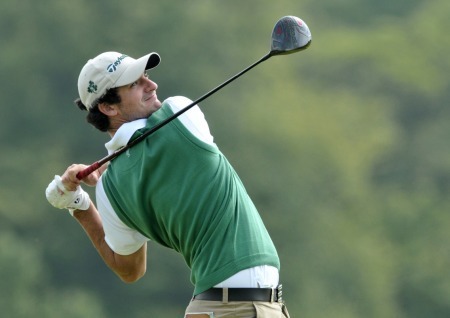 Ireland were forced to settle for second place following defeat to England on the final day. Picture via ScottishGolf.orgIf there sea of blue on the Scottish side of the board, Ireland failed to keep their heads above water in the face of an English tidal wave in the singles. While Mourne’s Reeve Whitson was the undisputed star - winning all six of his matches on his senior international debut - Belvoir Park’s Harry Diamond was the only other Irish player to suffer just one defeat. Needing a solid start in the singles, Ireland instead lost the first three. 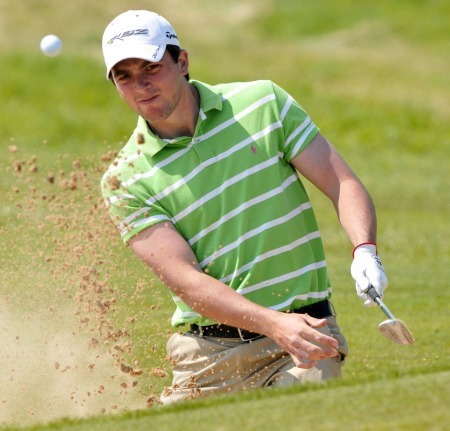 Moyola Park’s Chris Selfridge was beaten by two holes by Neil Raymond, British Amateur champion Alan Dunbar was crushed 6 and 4 by Garrick Porteous and Kevin Phelan went down 4 and 3 to Nathan Kimsey. 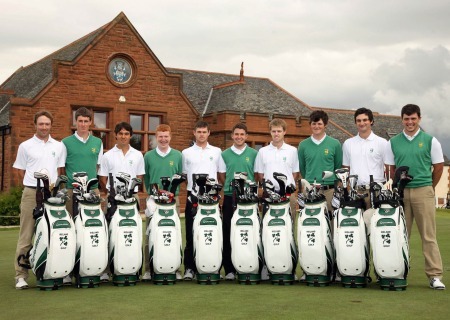 The Island’s Gavin Moynihan, the 17-year old Irish Amateur Open strokeplay champion, clinched his third successive singles win but too many of his team mates struggled in the face of the English onslaught. While Diamond halved with Jack Hiluta, Headfort’s Rory McNamara lost on the 18th to Nathan Smith while Gary Hurley and Richard O’Donovan shook hands out the country. It was Scotland’s first win on home soil since Carnoustie 12 years ago and one that Ireland will feel was theirs for the taking. Chris Selfridge can make a serious claim for an Eisenhower Trophy place with another good performance against England on the final day of the Home Internationals at Glasgow Gailes. 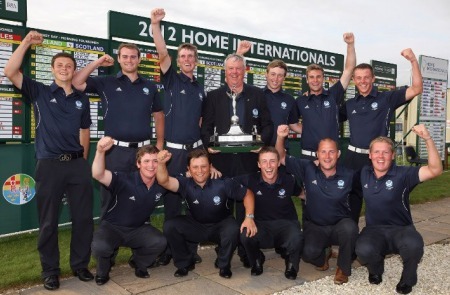 Picture by Pat CashmanIreland stormed to a huge win over Wales to move into pole position for the Home Internationals title going into the final day at Glasgow Gailes, writes the Scottish Golf Union.